This cascade is on Cotton Patch Creek in McCreary County. I'm not sure how this creek got it's name since Kentucky isn't one of the 17 states where cotton is grown. However this location is close to the Tennessee border, and cotton is grown in Tennessee. Maybe somebody had some success growing cotton here. 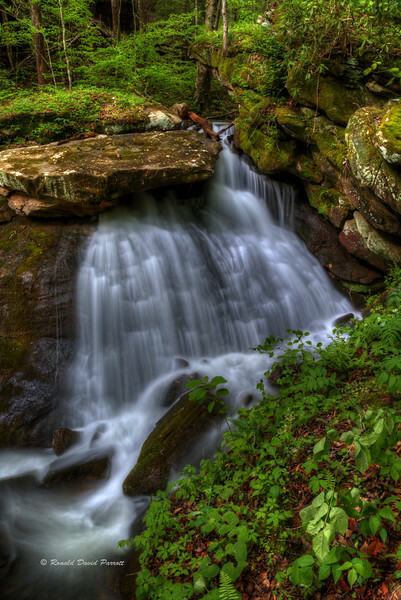 Another possibility is that the white water cascades on this creek reminded someone of cotton. Who knows?